Prit and I want to sincerely thank Pastor Mike and Mary Chatt and the members of Rock Church for making it possible for us to celebrate Thanksgiving here in Haiti. 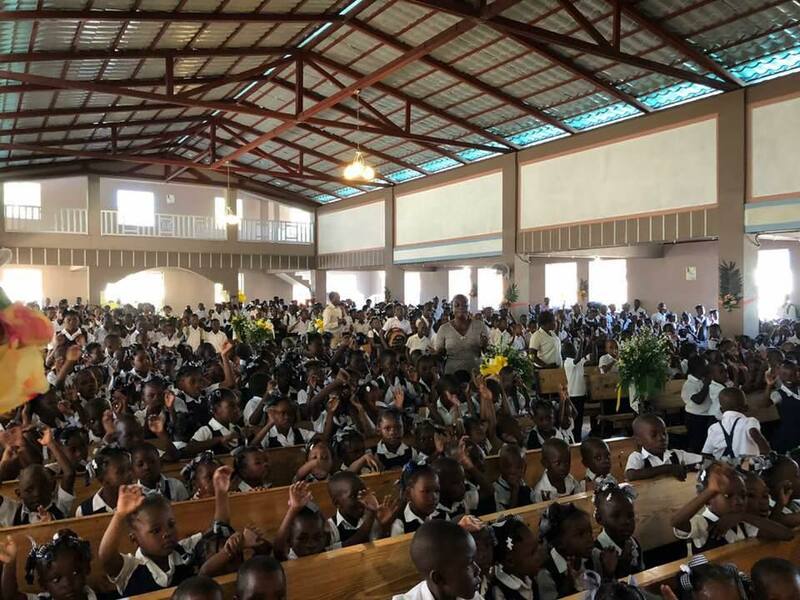 Even though Thanksgiving is not a holiday in Haiti, Rock Church provided a huge turkey with all the trimmings in order to make our day special. It’s so nice to be remembered when you’re far away from home. Also, thank you to Agape Flights for purchasing the turkey and fixings and flying them to Cap-Haitian for us missionaries! As we enjoy our feast, we remember those of you who sacrificed to make it happen. Speaking of sacrifices, every time we look at our freshly-tiled floors and newly-painted walls, we remember the nine days that Trinity Church invested here by sending a team to help us with construction needs. Here are some reflections of a few of the team members concerning their time here with us. We are so glad God touched your hearts in a special way while you were here. Thank you for sharing your thoughts with us! I did not speak much French or French Creole at all, which was a hindrance and an asset at the same time. Instead of talking, I watched. When I was face to face with someone I had to try to express myself through love. It was an entirely different way of communication that I only scratched the surface of, but I think has planted a seed somewhere within my spirit, showing me how to better display God’s love in me. Beyond that, just being able to see the people on the compound and the laborers at work and to play a game with some passing children was a blessing.